Administrative Law Judge Troy Taira (ALJ), from the Office of Administrative Hearings (OAH), heard this matter in Clovis, California, on January 23, 24, and 25, and February 4, 5, 6, 7, and 8, 2013. Barbara Ransom, Yvette Sterling, and Marianne Malveaux, Attorneys at Law, appeared on behalf of Student. Student’s mother and father (Parents) were present during the hearing. Student did not attend the hearing. Karen Samman, Attorney at Law, appeared on behalf of Clovis Unified School District (District). Mary Bass, special education administrator, was present on behalf of District. On March 7, 2013, District filed an objection to Student’s closing brief, contending that Student failed to comply with the ALJ’s parameters for the closing brief and that the brief was untimely filed. On March 15, 2013, Student filed a response to District’s objection. 2 On March 20, 2012, District filed a reply to Student’s response to District’s objection. 1 To maintain a clear record, Student’s brief has been marked as Student Exhibit S131, and District’s brief has been marked as District Exhibit D-58. The ALJ limited the parties’ closing brief to 25 pages, double spaced, with 12 point font. Student’s brief is 40 pages total, and includes attached tables not in evidence. The substantive text of the Student’s brief runs from pages one through 23 and is single-spaced. Student filed his closing brief approximately one hour and 10 minutes after the deadline. The ALJ finds that Student’s closing brief was filed untimely and exceeded the page limit, but that the increased length and filing delay were de minimis and did not prejudice District. Therefore, the ALJ considered Student’s brief. The ALJ did not consider the attached tables which were not presented or moved into evidence during the hearing. At the hearing, District objected to the admission of Student’s Exhibit S-130. The ALJ deferred ruling on the objection until after the hearing. The exhibit is a spreadsheet listing Student’s proposed individualized education program (IEP) goals. The spreadsheet was not provided prior to hearing, but was used to refresh witness recollection during the hearing without objection. In addition, the proposed goals were discussed in the IEP team meeting notes. The proposed goals are relevant and probative to the issues and the summary information is not cumulative. The spreadsheet summaries were helpful to the witnesses and are of assistance to the trier of fact. District did not establish that the contents were in error. Therefore, Exhibit S-130 is admitted into evidence. During the prehearing conference and at the beginning of the hearing, the ALJ attempted to clarify the issues to be addressed in this decision. Therefore, upon further review of the issues in light of the evidence presented at hearing, the ALJ has further reframed the issues to conform to the applicable law. Many of Student’s issues were simply repetitive and were accordingly reframed. Finally, Student alleges in a separate issue that his IEP was not in the least restrictive environment (LRE) as required by law thereby denying Student a free appropriate public education (FAPE). Since the question of providing a FAPE includes a finding on the element of LRE, a separate LRE issue is also redundant and the issues have been reordered and reworded accordingly. 2 Student did not explain the long delay in filing a response. Student’s response to District’s objection included a reformatted closing brief that was 30 pages double-spaced, but otherwise identical to Student’s original closing brief. The ALJ did not consider the reformatted brief. 4 A SDC is a class usually located in a general education school that provides specialized instruction for children with disabilities. SDCs are smaller in size compared to typical general education classes and a low student-to-staff ratio with a certified special education teacher assisted by paraprofessionals (instructional aides). Does not offer an education in the LRE? Student did not attend the regular education class for 57 percent of his school day? Student requests that District provide Student with additional speech and language services and that District convene an IEP team meeting to draft an IEP to receive his educational program in the general education classroom at Alta Sierra Middle School with the supports and services listed above. Student requests that the District provide him with an inclusion program including curriculum modifications to grade-appropriate general education academic subjects to meet Student’s unique needs, teachers and paraprofessionals appropriately trained and supervised to provide special education and related services and who are trained in positive behavior approaches, inclusive practices, human sexuality for persons with disabilities, and appropriate boundaries between student and professional. Student also proposes other remedies regarding his inclusion in the general education environment, including that the District implement a buddy system to help Student adjust and to facilitate friendships and to keep Student from becoming an easy target for bullying, sexual abuse or drugs; that the District ensure that all staff who interact with Student are aware of his goals and objectives and can assist Student to become more independent and able to interact with his peers; and that the District hire an inclusion specialist to assist general education teachers and aides to implement a scientifically-based inclusive educational program for Student. Finally, Student proposes as a resolution that the District reimburse Parents the costs of providing Student educational services during the 2012-2013 school year; that the District reimburse Parents the costs of counseling services for Student; and that the District provide compensatory education. Student contends that District’s offer of a seventh grade placement in the 2012-2013 school year in a blended program consisting of 57 percent in general education and 43 percent in a special day class (SDC) failed to offer him a FAPE. 4 Student alleges that he obtained satisfactory educational benefit during his sixth grade elementary school general education program and that Student is more capable than District believes. Student alleges that District’s proposed seventh grade placement is inappropriate because the IEP does not offer appropriate goals, limits his academic instruction, is not age-appropriate, and does not access the general education curriculum. Student further contends that District failed to provide adequate speech and language therapy, trained and supervised instructional aides, and an adequate modified curriculum. Finally, Student alleges he does not attend the regular education class for 57 percent of his school day as the IEP requires. District contends that it offered Student a placement that balances the nonacademic benefits of mainstreaming with general education students with his need for intensive academic support in a SDC. District asserts that Student’s deficits are so severe that an academic general education curriculum would have extensive modifications, as well as requiring continual and extensive assistance from an aide, to such an extent that he would not obtain meaningful educational benefit from placement in a full-time general education inclusion setting. District asserts that its SDC meets Student’s academic needs and its general education classes meets his social and communication needs so he can obtain meaningful educational benefit. District contends that it provides appropriate speech and language therapy with collaboration and consultation delivery models that addressed Student’s needs and that its instructional aides are adequately trained and supervised. Finally, District contends that Student does in fact spend 57 percent of his program in a general education setting. 1. Student is a 13-year-old boy who lives with Parents within the District’s geographical boundaries. Student has Down Syndrome and is eligible for special education and related services under the category of intellectual disability (ID). For the 2011-2012 school year, Student attended sixth grade at District’s Century Elementary School. For the 2012-2013 school year, Student attends seventh grade in District’s Alta Sierra Middle School. 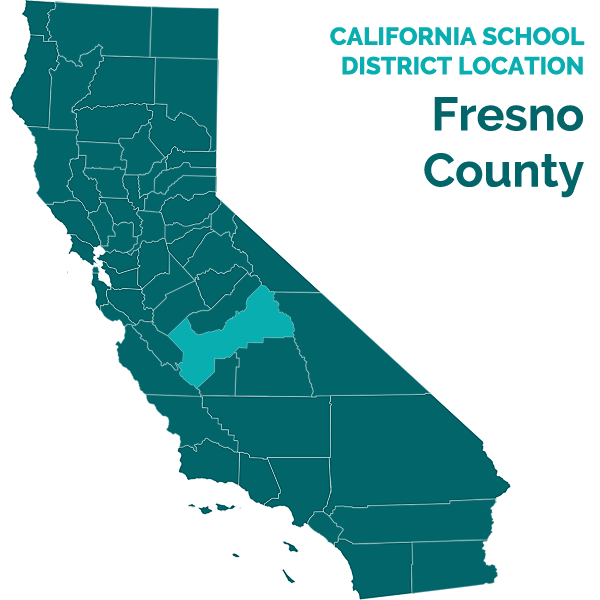 Based on Student’s limited academic levels of performance, District uses the academic standards in the California Alternate Performance Assessments (CAPA) for Student. The CAPA is the alternate statewide educational assessment test for students with severe cognitive disability. 5 Mr. Anthony Petersen was Student’s sixth grade general education teacher during the 2011-2012 school year. Mr. Petersen has a bachelor’s and master’s degree and has been a credentialed classroom teacher for 44 years. Student attended Mr. Petersen’s class at either 12:00 pm or 12:30 pm until 3:15 pm for the afternoon session for sixth grade social studies and science. There were 35 other students in this class, and nine had IEP’s. Mr. Peterson had considerable knowledge about Student and was a credible witness. 6 Ms. Alison Carberry was Student’s sixth grade SDC teacher. Although Parents declined to send Student to the SDC class, Ms. Carberry was Student’s special education case manager who worked with his general education teacher and attended his IEP team meetings. Ms. Carberry’s SDC for the 2011-2012 school year consisted of 12 special education students ranging from fourth grade through sixth grade. Ms. Carberry has a master’s degree in special education and has been a special education teacher for approximately 12 years. Ms. Carberry also worked as a special education resource specialist (RSP). Ms. Carberry had considerable knowledge about Student and was a credible witness. 7 District’s SDC is also referred to in the evidence as a functional skills class. The term SDC is used throughout this decision in order to maintain consistency. 8 Student’s last fully agreed-to IEP was in 2010 and placed him in a SDC for 65 percent of his program. For the 2012-2013 school year, it is mathematically impossible for Student to spend 65 percent of his program in a SDC if he is in general education for 57 percent of his program. Therefore, by default, District reasonably placed Student in the SDC for 43 percent of his program for the 2012-2013 school year. 2. For the 2011-2012 school year, in sixth grade, District’s IEP offered Student an educational placement consisting of 54 percent of his educational program in a SDC and 46 percent in the general education setting. Parents only consented to the general education placement and sent Student to school only to attend the general education class for 46 percent of his day, which were in the afternoon session. 5 Student did not attend his SDC for the morning session. 6 Parents supplemented Student’s school day with private tutoring. District provided a dedicated instructional aide to assist Student when he was in the general education class. Student also received speech and language therapy consisting of 30 minutes per week of direct therapy in the general education class and 30 minutes per week of consultation. Student’s last fully agreed-to IEP was dated April 19, 2010, where his placement consisted of spending 65 percent of his school day receiving specialized education in a SDC and 35 percent in general education. 3. In order to provide a FAPE, an IEP must adequately address a student’s unique needs and provide an educational program that is reasonably calculated to provide the student with some educational benefit in the LRE. A district is not required to provide a special education student with the best education available or to provide instruction or services that maximize a student’s abilities. A school district need only provide a basic floor of opportunity that consists of access to specialized instructional and related services, which are individually designed to provide an educational benefit to the student. The adequacy of an IEP is analyzed under the “snapshot rule.” That is, the IEP is not judged in hindsight, but in light of the information available at the time it was drafted. 4. An IEP is a written statement that includes a statement of the present performance of the pupil, a statement of measurable annual goals designed to meet the pupil’s needs that result from the disability, a description of the manner in which progress of the pupil towards meeting the annual goals will be measured, the specific services to be provided, the extent to which the pupil can participate in regular educational programs, the projected initiation date and anticipated duration, and the procedures for determining whether the instructional objectives are achieved. It shall also include a statement of the program modifications or supports for school personnel that will be provided to the pupil to allow him or her to advance appropriately toward attaining the annual goals and be involved and make progress in the general education curriculum and to participate in extracurricular activities and other nonacademic activities. 5. District scheduled and held an IEP team meeting on April 16, 2012. The IEP team meeting continued to subsequent dates on April 23, May 11, and May 31, 2012. The IEP offer for the 2012-2013 school year that resulted from these team meetings (referred to as the April 2012 IEP) places Student in three periods in the SDC class for academic instruction in English language arts and math (900 minutes of weekly specialized instruction) and four periods in general education for social and language development. Student’s general education consists of two electives (art and drama), physical education, and lunch (a designated period). The placement offer thus consists of 43 percent of his school program in a SDC and 57 percent in general education classes. 7 Compared to the previous school year, this was 13 percent less time in a separate SDC, and an 11 percent increase in time spent in general education. District’s offer includes speech and language therapy for 30 minutes of direct collaboration therapy and 30 minutes consultation per week, and a dedication instructional aide for all general education periods. The offer provides Student with instruction in a special education setting for 43 percent of the time, and in a general education setting for 57 percent of the time. 6. Parents never signed the consent section in the IEP. The 2012-2013 school year started on August 20, 2012. On or about September 4, 2012, District received a typed unsigned IEP addendum statement from Parents giving their consent to the general education placement in drama, art, and physical education classes, but continuing to disagree with the offered SDC and contending that his annual goals could be met in a general education setting. On September 7, 2012, District interpreted Parent’s addendum to give consent to the IEP, except for the SDC placement. However, by placing Student in a 57 percent general education setting, Student by default attends the SDC for 43 percent of his program, even though Parents never agreed to the SDC placement. 8 Through Parents’ confusing and fractious consent mechanism, District reasonably implemented by default the proposed April 2012 IEP, including the placement and related supports and services. 7. The Individuals with Disabilities in Education Act (IDEA) provides that an IEP must contain a statement of the current levels of educational performance, measurable annual goals, and a means to measure progress towards the goals. Additionally, the IEP team must take into account the results of the student’s most recent assessments in formulating the IEP to determine the student’s present levels of performance and the student’s unique needs. In order to determine whether District’s April 2012 IEP offer denied Student a FAPE in the areas at issue, evidence regarding District’s knowledge of Student’s unique needs must be evaluated. 9 Mr. Berglund is the District’s credentialed psychologist and worked with Student during the 2010-2011 and 2011-2012 school years. He attended the April 16, 2012 IEP team meeting. Mr. Berglund has a master’s degree in school psychology and has been a school psychologist for six years. Mr. Berglund provided credible testimony of Student’s performance levels. 8. The evidence established that the April 2012 IEP team considered Student’s 2011 triennial assessment results. For special education pupils, the law required school districts to conduct reassessments at least every three years. District conducted Student’s last required triennial evaluation in April 2011, when he was in fifth grade at Century Elementary School. District school psychologist Scott Berglund conducted the triennial psychological assessment on February 28, March 16, and April 1, 2011. 9 Mr. Berglund observed Student six times in general education and SDC settings, social settings, and during his speech and language therapy from March 7 through March 24, 2011. Mr. Berglund established that the assessment results were still relevant and appropriate during the April-May 2012 IEP team meeting period. 9. District’s psychological assessment consisted of the following: Record review; observations and interviews; Health Background Study; Woodcock-Johnson Test of Academic Achievement, Third Edition (WJ-III), to measure Student’s academic skills in reading, written language, and math; Brigance academic profile; kindergarten assessment profile; Beery Developmental Test of Visual-Motor Integration (Beery VMI); Universal Nonverbal Intelligence Test (UNIT); Wechsler Intelligence Test for Children (WISC-IV); Vineland Adaptive Behavior Scales-II (Vineland-II) parent and teacher rating scales; and a speech and language evaluation. 10. On the UNIT which measures general intelligence and cognitive abilities for children disadvantaged by traditional verbal or language base measures, Student scores ranked him at or below the 0.1 percentile, placing him in the “very delayed” category. On the WISC-IV for overall intelligence, Student’s full scale intelligence quotient was measured at 40, which is ranked him below the 0.1 percentile, placing him in the extremely low category with considerable weaknesses in the areas of overall expressive language reasoning, problem solving, working memory, and processing speed. On the Vineland-II, Parents rated Student in communication (sixth percentile, moderately low), daily living skills (13th percentile, moderately low), socialization (13th percentile, moderately low), motor skill (68th percentile, adequate), adaptive composite score (eight percentile, moderately low). Students’ teacher rated Student lower in most categories -communication (first percentile, low), daily living skills (below first percentile, low), socialization (first percentile, low), motor skill (10th percentile, moderately low), adaptive composite score (63rd percentile, moderately low). 10 Ms. Rosa is a District’s speech and language therapist with 14 years of experience as a speech and language therapist. Ms. Rosa has a bachelor’s degree in speech pathology and audiology, and a master’s degree in communication disorders, and is a licensed speech and language pathologist. Ms. Rosa has supervised graduate student clinicians and student teachers. Ms. Rosa worked with Student for three years from 2009-2012 when he attended Century Elementary School. Ms. Rosa was a credible witness. 11. Leanne Rosa conducted Student’s triennial speech and language assessment. 10 She administered the Expressive Vocabulary Test, Second Edition; Peabody Picture Vocabulary Test, Fourth Edition; and Language Processing Test, Third Edition. Student scored below the first percentile in the three tests, meaning that Student has considerable overall expressive and language delays. 12. Alison Carberry conducted the academic assessment portions of Student’s triennial on March 4, 11, 16, 22, and April 1, 2011. According to the California State Standards, the CAPA, and the Brigance Diagnostic Comprehensive Inventory of Basic Skills, Student’s academic achievement assessment found him in the kindergarten range in reading and writing and math (with some overlap in the first grade level). The WJ-III test also indicated Student had considerable delays in overall reading, written language, and math skills consistent with the academic assessment. 13. The evidence of the triennial assessments established persuasively that Student, in spring 2011, had considerable delays in overall cognitive development. The WISC indicated his cognitive skills in the extremely low range, with considerable weaknesses in overall expressive language, reasoning, problem solving, working memory, and processing speed. Academically, the assessment indicated student continued to demonstrate considerable academic delays in the areas of overall reading, written language, and mathematics skills. Based on these assessments, Student needed a modified curriculum and the support of specially designed instruction. Student’s overall rate of progress, while lower than similarly-aged peers, appeared to be commensurate with his overall global cognitive functioning. In 2011, at the time the triennial assessments were done, Student made progress within a SDC and met many of his goals, indicating two years of growth during the preceding six years. Student was able to work short durations on modified curriculum where he was able to demonstrate success. Student had limited ability to request or respond, and often required more than one verbal directive. Student did not initiate social interaction or verbal communication. Student did not respond well emotionally to minor setbacks. 14. Student had deficits in cognitive delays requiring administration of the CAPA, along with deficits in social interaction, initiation with peers, and transition. The evidence showed Student needed a structured language enriched repetitive drill, small group setting, which contains an emphasis and focus on his individual and functional goals. Student was able to continue to access the general education setting and his general education peers for social benefit purposes, during mainstream opportunities, lunch, recess, and other school functions. 11 Dr. Wells is a licensed psychologist in private practice with 30 years of experience. Dr. Wells has a doctorate degree in clinical psychology with a long history of publications and post-doctoral work, including post-doctoral work in behavioral pediatrics. Dr. Wells was a credible witness in establishing Student has significantly delayed cognitive abilities, needs specialized academic instruction, and would benefit from mainstreaming with general education students. 15. District’s April 2012 IEP team also considered Student’s 2011 independent psychological evaluation. Dr. Robert Wells conducted an independent psychological evaluation at Parent’s request. He evaluated Student on June 7, 2011, and July 12, 13, 14, and 19, 2011. 11 Dr. Wells’ evaluation consisted of the following: assessment exam and interview; record review; Naglieri Nonverbal Ability Test (NNAT); Kaufman Assessment Battery for Children, Second Edition (KABC-II); Kaufman Test of Educational Achievement, Second Edition (KTEA-II); Peabody Picture Vocabulary Test; and Bender Visual-Motor Gestalt Test. District received Dr. Wells’ evaluation report on August 15, 2011. 16. Dr. Wells established that his 2011 assessment results were still relevant and applicable at the time of the IEP offer. He found Student to be developmentally delayed, remaining well behind his peers. Dr. Wells was persuasive that Student’s most significant weakness is his receptive and expressive language processing disorder which interferes with his ability to understand complicated instructions to recall verbal information, and to organize his thoughts or verbal expression. Therefore, when he is confused and stressed, he tends to shut down and needs time to reset. Student also has significant dysgraphia which interferes with his ability to complete paper and pencil assignments in an efficient manner. Student’s reading and written expressive language skills appear to be somewhat better developed than his math and oral language skills. Dr. Wells was persuasive in establishing that Student continues to need specialized academic services. Dr. Wells did not state a specific placement recommendation, but indicated that “extensive mainstreaming” for Student with 57 percent in general education would be appropriate. Dr. Wells did not specify classes or activities Student should take. 17. On the KABC-II, this measures Student’s cognitive abilities, Student’s mental processing index score ranked Student below the 0.1 percentile, placing him in the lower extreme category. Student’s WISC-IV and KABC-II scores measuring his cognitive abilities were consistent. Dr. Wells opined that Student’s scores on the KTEA for academic achievement showed he had greater academic accomplishment that his score in District’s WJ-II indicated. Dr. Wells felt that the discrepancy where Student scored higher on academic achievement tests that on IQ tests show that Student’s IQ scores underestimate his true cognitive potential. Dr. Wells’ report stated Student’s difficulties with language comprehension and focal attention compromise his ability to do well on tests presented on IQ tests, and that he has done much better on academic tests where he understood what was expected. Dr. Wells estimated that Student’s IQ test scores underestimate his intellectual functioning and that his true IQ is likely in the range of 50 to 70, placing him in the mildly developmentally delayed range. The opinion that Student’s is only mildly developmentally delayed is unpersuasive. There is no objective assessment data to support the contention that Student’s IQ scores could be higher if he progressed in the areas of language comprehension and attention. Nevertheless, Dr. Wells’ assessment results was not that significantly different than District’s assessment. The weight of the evidence shows Student has significant cognitive delays. Finally, while it is possible that a future assessment could yield results where Student’s IQ scores improve, the possibility does not negate the current data the IEP team had about Student’s present levels of performance. 12 Ms. Bustos-Ponce has been working with Student since approximately January 2011. Ms. Bustos-Ponce attended student’s IEP team meetings. Ms. Bustos-Ponce has a master’s degree in education (administrative services) with credentials in multiple-subject teaching and bilingual cross-cultural language development, and has over 17 years of educational experience at another school district. 18. The April 2012 IEP team also considered an academic evaluation report conducted and presented by Ms. Ana Bustos-Ponce, a private educational consultant and tutor.12 The report is dated April 23, 2012, and the reading and math assessments were conducted over a series of dates during the period January 2012 through April 2012. Ms. Bustos-Ponce’s report credibly showed Student, as a sixth grader, to be functioning in the first grade range in reading and math which is consistent with District’s assessment which found Student functioning at the kindergarten level with some first grade overlap. Ms. Bustos-Ponce disagreed with District’s IEP team members’ conclusions regarding Student’s performance levels. Ms. Bustos-Ponce opined that Student would function at a higher level if presented with higher expectations and if given adequate learning opportunities could learn core first grade reading, language arts, and math standards. While Ms. Bustos-Ponce was persuasive that Student would function at a higher level if presented with higher expectations and could learn core first grade materials, this point does not help resolve the dispute in this case whether Student can be in a seventh grade middle school curriculum. In fact, Ms. Bustos-Ponce’s assessment was similar to District’s educational assessment which placed Student in the range of kindergarten to early first grade level. 13 Ms. Kusch is a credentialed special education teacher with a master’s degree in special education and 20 years of experience in special education. Ms. Kusch has conducted between 400 and 500 educational assessments and was a credible witness. 14 Student received tutoring for reading at the Cullinan Education Center. Cullinan assessed Student reading at the pre-kindergarten level in September 2011 and at the kindergarten level in April 2012. Parents did not provide Cullinan’s report to the IEP team and it was not considered by the IEP team, although the results are similar to the District and Ms. Bustos-Ponce’s assessments. 15 Ms. Tetz is the District’s speech and language pathologist at Alta Sierra Middle School. Ms. Tetz has a master’s degree in speech pathology and is a licensed speech pathologist with 24 years of experience. Ms. Tetz knows Student, reviewed his records, and is working with his current teachers. Ms. Wage is a private speech and language pathologist with a master’s degree in communicative disorders. Ms. Wage is owner, director, and therapist at the Center for Communication Skills. Ms. Wage met Student in 2007. 19. The team also considered an educational assessment conducted by Michelle Kusch, District Resource Specialist. 13 Ms. Kusch assessed Student on May 14, 15, 16, 24, 29, and 30, 2012, just prior to the last IEP team meeting on May 31, 2012. Ms. Kusch used the Developmental Reading Assessment, Second Edition (DRA-2); Silveroll Individual Reading Inventory; Lindamood Auditory Conceptualization Test (LAC-3); Phonological Awareness Test (PAT); Key Math 3; Test of Written Language-3; math problems using a calculator and number recognition; indoor and outdoor environmental sign recognition exercise; interviews and observations. Ms. Kusch determined Student functioning within the very low range across all academic areas with age equivalents ranging from five to six years of age. Student’s global academic skills fall within the range of the end of kindergarten to early first grade. 14 Student’s chronological age was 12 years and eight months old. 20. Highly trained professionals may disagree as they did in this case. However, the fact that Student’s experts at hearing disagreed with District’s evaluations and Student’s ability levels does not necessarily make District’s IEP defective. The test is whether the IEP offer was reasonable calculated to provide Student with educational benefit. Moreover, Student’s criticism of District’s assessments is misplaced. The appropriateness of District’s 2011 triennial assessments is not at issue. Rather, the question is whether the District’s 2012 IEP offer constituted a FAPE, based on all information known to the IEP team at the time. The fact that District team members did not agree with Parents’ recommendations does not mean that District’s offer denied Student a substantive FAPE. The focus remains on whether the IEP failed to offer a FAPE based on what the IEP team knew about Student’s levels of performance and areas of unique needs at the time of the offer. 21. Credible testimony from District’s speech and language specialists, Ms. Rosas, Debra Tetz, and Kathryn Wage, established Student’s communication deficits, specifically intelligibility. 15 Student has significantly low receptive, expressive, and pragmatic language development skills. Student is hard to understand. While Student’s tongue is larger than a typical peer consistent with Down Syndrome, this condition does not appear to impact his ability to articulate (produce) sounds. Rather, his deficits in communication are more related to his overall intelligibility, the ability for others to understand what he says. Student shows the ability to express himself in isolated therapy and SDC settings, but is unable to transfer that ability to everyday social and educational settings with others in a general education setting. Student needs to learn to speak up and interact with other students without prompting, especially in a general education setting with typically developing peers. 22. Student also requires the assistance of a dedicated instructional aide to facilitate interaction with other students and to navigate around school grounds. Student is able to communicate his desires or requests in controlled situations, but requires additional practice in more natural settings such as in the classroom or playground. Student is able to engage in reciprocal exchanges with adult staff members, but required prompting approximately 50 percent of the time to initiate interaction with his peers. 23. In summary, Student is able to respond to others, but does not initiate interaction. Student requires verbal prompts and verbal modeling in order for him to present basic information to his peers in a classroom setting. He also requires an adult to monitor activities when he is doing tasks or classroom errands. He can follow two related commands, but cannot follow three related commands independently without help. Student is unable to navigate to the restroom independently, but can use the restroom once there. Student manages his own eating, but gestures when requesting help opening items. 24. Based on the foregoing, by the end of May 2012, District IEP team members had knowledge of Student’s then-present levels of performance and needs through Student’s assessment scores, observations, interviews, parental input. The evidence establishes that District accurately determined Student’s present levels of performance as impacted by his significant cognitive delays and communication deficits. District properly identified all areas of Student’s academic, and social and emotional needs. 25. Based on Student’s present levels of performance and needs, derived from the information known to the District, rather than on speculative future potential, District staff on the IEP team developed 13 academic goals and four communication and language goals to improve Student’s skills in language, math, and communicating with others. Eight goals address Student’s skills in reading and spelling. Five goals address Student’s math and number skills. Four goals address Student’s social and communication skills. 26. Parents disagreed with all of the goals because they felt Student is more capable than what the District’s IEP team determined. Parents contend the Student would not benefit from the proposed goals because he had already mastered the goals, or the goals were not academic in nature and could be taught at home. As found below, Student did not establish that District’s proposed annual goals failed to comply with the law. 27. The functional signs goal was to improve Student’s ability to identify indoor and outdoor safety signs in the classroom environment with 80 percent accuracy and no more than one verbal prompt for three consecutive trials, as measured by teacher observations and data. The baseline measurement, meaning Student’s known level of performance, was his ability to identify 38 out of 80 indoor and outdoor signs. 28. The decoding goal was to improve Student’s ability to orally combine consonant blend letter patterns presented in random order to create recognizable words with 80 percent accuracy in three consecutive trials as measured by teacher observations and data charts. The baseline measurement was Student’s ability to create recognizable words with 40 percent accuracy with verbal prompts and zero percent accuracy in creating recognizable words independently. 29. The vocabulary goal was to improve Student’s ability to sort high-frequency words by category with 80 percent accuracy and no more than one adult prompt in three consecutive trials, as measured by teacher observation and data collection. The baseline measurement was Student’s ability to sort first grade words with pictures supports with 90 percent accuracy in three trials, all of which require prompting. Without prompting Student was 30 percent accurate. 30. The reading fluency goal was to improve Student’s ability to read beginning first grade book passages with four to five word sentences with 90 percent accuracy over three consecutive trial days or weeks as measured by data collection. The baseline measurement was Student’s ability to read beginning first grade books composed of four to five word sentences with 50 percent accuracy. 31. The reading comprehension goal was to improve Student’s ability to identify the possible causes of a given effect based on information gained from reading from a text with 80 percent accuracy over three consecutive trial days or weeks as measured by data collection. The baseline measurement was Student’s ability to identify the problem or conflict in a story with 20 percent accuracy when picture cues were paired with a multiplechoice format. 32. The comprehension goal was to improve Student’s ability to answer inferential questions in multiple-choice format with 50 percent accuracy when given three pictures in sequence with no more than one prompt in 10 consecutive trials as measured by data collection. The baseline measurement was Students ability to answer inferential questions and multiple-choice answers with zero percent accuracy with prompts. 33. The spelling goal was to improve Student’s ability to write dictated words when given 25 high-frequency and consonant-vowel-consonant words from the reading material at his instructional level with 80 percent accuracy over three consecutive trial days or weeks as measured by data collection. The baseline measurement was Student’s ability to spell 24 percent of the words correctly when dictated aloud. 34. The sentence creation goal was to improve Student’s ability to create and write a sentence using correct capitalization and punctuation when given four to five words on cue cards with no more than one verbal prompt in eight out of 10 opportunities, as measured by teacher observation and work samples. The baseline measurement was Student’s ability to write three word sentences with correct capitalization and punctuation with 60 percent accuracy, requiring no more than one prompt per sentence. Student was able to construct a four to five word sentence using correct capitalization and punctuation, requiring no more than one prompt per sentence with 10 percent accuracy. 35. The number sense goal was to improve Student’s ability to use a calculator to determine the sum of whole numbers when presented with 10 addition problems with two three-digit addends with 80 percent accuracy over three consecutive trial days or weeks as measured by data collection. The baseline measurement was Student’s ability to use a calculator to add the equation with 60 percent accuracy and his ability to use a calculator to add double-digit numbers with 75 percent accuracy. 36. The second number sense goal was to improve Student’s ability to add singledigit math facts with at least one addend greater than five without a prompt, with 70 percent accuracy in three consecutive trial days as measured by teacher observation, work samples, and data collection. The baseline measurement was Student’s 37 percent accuracy in math facts with one or more addends greater than five without a prompt. 37. The ordinal position goal was to improve Student’s ability to place objects in ordinal positions (first, second, last, etc. ), identifying each position, with no more than one adult prompt and with 80 percent accuracy in three consecutive trials as measured by observation teacher-made tests. The baseline measurement was Student placing objects in the correct ordinal position in 10 opportunities with 40 percent accuracy, requiring one adult prompt. 38. The money goal was to improve Student’s ability to identify coins and bills both expressively and receptively with no more than one prompt and 80 percent accuracy in three consecutive trials, as measured by teacher observation and data collection. The baseline measurement was Student’s ability to identify a penny and a dollar bill expressively and receptively, but inability to identify a nickel, quarter, or dime expressively, although he was able to match using a one-to-one correspondence with prompting. He was unable to identify the values of the coins and bills. 39. The second money goal was to improve Student’s ability to round off the price of a single item to the next whole dollar amount (dollar-up method) with 80 percent accuracy over three consecutive trials days or weeks as measured by data collection. The baseline measurement was Student’s inability to round the dollar amount to the next whole dollar when asked. 40. The goal for following directions was to improve Student’s ability to appropriately follow three-step directions with 80 percent accuracy with no more than one prompt, over 10 consecutive trials as measured by teacher observation and data collection. The baseline measurement was Student’s ability to follow three-step directions 40 percent of the time with more than one prompt. 41. The requesting goal was to improve Student’s ability to make a request from adults or peers for a needed or preferred item in the educational setting across three locations on campus such as in the classroom, library, office, nurses office, or cafeteria, on at least four out of five opportunities, with one or less prompts as measured by observation. The baseline measurement was Student’s ability to independently request in a general education classroom setting on two out of five observations, and no observations of Student making independent requests in other locations on campus. 42. The goal for reciprocal exchange with peers was to improve Student’s ability to participate in an educational setting in one reciprocal exchange with another student on a given topic where Student would ask a question and respond to the other student’s questions on four out of five opportunities, with no more than one prompt as measured by teacher observation, probes, or recorded data. The baseline measurement was Student’s ability to answer a peer’s question, but inability to initiate another question or make a follow up comment after his initial response without prompts to continue the reciprocal exchange. 43. The goal for pragmatic language and observational learning was to improve Student’s ability to participate in a minimum of three functional routines referencing his peers with no more than one prompt in four out of five opportunities as measured by observation or recorded data. The baseline measurement was Student’s ability to reference his peers in two functional routines in an educational setting. District did not offer specific intelligibility goals, but the communication goals for requesting, reciprocal exchange, and pragmatic language necessarily involve intelligibility. 44. The evidence establishes that the proposed annual goals in the April 16, 2012, IEP were measurable, consistent with the requirements of the IDEA, and designed to address Student’s identified areas of need. Student’s baseline levels of measured performance for each goal established his fundamental skill levels at about first grade and demonstrate that each goal was reasonably calculated to provide Student with the opportunity to progress in each area. In addition, the goals addressed multiple levels of need. For example, the goals necessarily included work on Student’s attention levels to the tasks called for. Therefore, the goals met Student’s educational needs. 45. Parents contend the goals are inappropriate given Student’s higher functioning level. For example, Parents contend that Student could already identify safety signs and count money and that these types of non-academic goal could be taught at home. Ms. Bustos-Ponce indicated that her evaluation of Student’s abilities in reading and math show a higher level of ability than the levels District based the goals on. In addition, Ms. Wage recommended a typing goal to address Student’s communication deficits so he can learn to communicate using email or texting. These assertions are unpersuasive in establishing that District’s proposed goals did not comply with the law. While Student may have a slightly higher level of ability than what District’s assessments show, the weight of the evidence, including Parents’ videos of Student doing reading, math, and money exercises, confirm that Student has significant cognitive delays with communication deficits. 46. The credible evidence did not establish that District omitted an annual goal in a significant area of need or that the goals were unreasonable or not reasonably related to his skill levels. The question for this dispute is whether District failed to offer annual goals in the April 16, 2012 IEP that were measurable and designed to address Student’s identified areas of need. The evidence does not establish District offered inadequate goals to meet Student’s unique educational needs. 47. An IEP must also contain related services when needed to enable the student to benefit fully from instruction such as developmental, corrective, and other supportive services. Counseling, occupational therapy, speech and language therapy, physical therapy, transportation, and other services are examples of what may be required to assist a child to benefit from special education. 48. Student contends that the April 2012 IEP denied him a FAPE because District failed to offer speech and language therapy for articulation deficiency. In addition, Student contends that the speech and language therapy Student receives fails to meet his unique needs. District contends that it offers and provides appropriate speech and language therapy with collaboration and consultation delivery models that addresses Student’s needs in his overall intelligibility. As discussed in Factual Findings 21, the evidence established that Student does not have a significant problem in the area of articulation. Rather, Student’s communication problems should be addressed in natural settings that he can apply across the board. 49. The April 16, 2012 IEP offers to provide Student with speech and language for 30 minutes per week of direct collaboration therapy and 30 minutes per week of consultation for total of 240 minute of speech and language therapy per month. As discussed above, Student’s communication deficits include his overall ability to be understood in social and educational settings. Student’s articulation (ability to produce sounds) is impacted by the physical structure of his oral cavity due to Down Syndrome. However, Student does not have a significant problem in this area and does not need specific goals for articulation. Student is able to demonstrate sounds and utterances in the speech therapy room, but is unable to transfer his abilities to other social and educational settings. Therefore, Student’s communication problems should be addressed in natural social and educational settings where he can learn to apply his abilities across the board. District did not offer specific intelligibility goals, but did offer several communication goals for requesting, reciprocal exchange, and pragmatic language which necessarily involve intelligibility. In addition, the IEP includes appropriate accommodations Student needs to help his intelligibility, such as providing visual or verbal cues to use intelligible sounds and more complex utterances, and creating opportunities to request item he needs to complete his assigned tasks. 50. To that end, the District IEP team members offered Student 30 minutes per week of direct collaboration therapy. Direct collaboration therapy is the same as direct therapy. The therapist works directly with the student. In addition, the therapist collaborates with the teacher and aides to ensure the student is receiving therapy that is integrated and incorporated in the educational setting. District established that the focus of the therapy is to improve Student’s overall ability to communicate in various educational settings outside the speech therapy room. The District IEP team also offered 30 minutes per week of consultation, where the therapist consults with the teacher and aides to ensure Student receives appropriate therapy incorporated in the classroom, to monitor student’s progress, receive feedback, and adjust the therapy if needed. 51. Ms. Rosa and Ms. Tetz (his current speech and language therapist), establish that this is the level of speech and language support Student needs to access his education. Ms. Tetz also established that she provides Student with 30 minutes of direct collaboration and 30 minutes of consultation service per week, and that Student is making progress. Student contends he needs more direct speech and language therapy, specifically to address articulation. Ms. Wage opined that Student’s articulation reduces his intelligibility and could impact his reading skills. Ms. Wage also felt that Student needed IEP goals for typing to improve his overall communication using email, and intelligibility. Ms. Wage first met Student in 2007, but last worked with him in 2010. She does not currently provide Student with speech and language therapy. Therefore, Ms. Wage’s testimony was afforded less weight. The weight of the evidence at hearing establishes that District’s IEP offers the appropriate speech and language therapy for Student’s needs and that District provides this level of service to Student and he is making progress. 52. The IDEA permits the use of paraprofessionals who are appropriately trained and supervised in accordance with State law or policy. California law allows paraprofessionals, which includes instructional aides, to perform duties that, in the judgment of supervising certificated personnel, may be performed by a person not licensed as a classroom teacher. Both parties discuss whether District’s instructional aides meet the requirements in The No Child Left Behind Act of 2001, which provides that a paraprofessional may provide instructional service only under the direct supervision of a teacher. However, OAH has no jurisdiction to enforce that Act and there is no analysis under that Act in this decision. 53. Student contends that District’s April 2012 IEP denied him a FAPE because it did not offer him appropriately trained and supervised instructional aides. In addition, Student contends that the aides assisting Student in his general and special education program are not appropriately trained and supervised. District contends all of its instructional aides are thoroughly screened when hired to determine their suitability for specific students, and then are trained and supervised. District contends that its instructional aides assigned to Student were well-suited to Student’s needs and trained and supervised in the performance of their duties. 54. Student requires the assistance of an instructional aide when in the general education setting. The evidence established that Student is unable to participate in his general educational setting without a significant amount of prompting and facilitation from an instructional aide. The District’s April 2012 IEP team offered Student a dedicated instructional aide during his four periods of general education classes (two electives, lunch, and physical education). The IEP did not specify any particular level of training or knowledge for his aide. 55. District’s instructional aides are interviewed and screened to determine if they are a good fit for the students, and then receive a District instructional aide manual and a PowerPoint presentation. Aides may start working before reviewing the manual, but must review the instructional materials as soon as possible after starting their duties. It takes about two and a half hours to train an instructional aide. The general education teachers supervise the student’s instructional aides in their classes. The special education teacher trains and supervises the instructional aides throughout the school day in the performance of their duties and responsibilities. 16 Kendall Kubo was another instructional aide assigned to Student for a brief period during the summer 2012. Although Mr. Kubo spent limited time with Student (four days), he was also adequately trained and supervised to perform his duties. 17 Ms. Heidebrecht is Student’s SDC teacher. Ms. Heidebrecht has a master’s degree in special education and hold credentialed general education and special education teaching credentials. Ms. Heidebrecht has taught the SDC at Alta Sierra Middle School since 2001. Student’s SDC has eight students total (all seventh and eighth graders), in ages ranging from 12 to 14 years old. Ms. Heidebrecht was a credible witness in Student’s performance levels, needs, placement, abilities, progress, and implementation of his IEP. 18 Mr. Scott and Mr. Kubo credibly established that they follow the instructions from Student’s teachers, including Ms. Heidebrecht. District offered Student adequately trained instructional aide support. In addition, District implemented Student’s IEP by providing trained instructional aides. 18 All of Student’s teachers are experienced and credentialed teachers, certified to teach in their respective classes. 19 The term “scaffolding” refers to teaching techniques to introduce a student to a new or difficult concept using aids like prompting. 20 Anne Castillo is Student’s special education program specialist. Ms. Castillo has a master’s degree in special education and has been a special education teacher since 2000 and a program specialist since 2007. Ms. Castillo manages Student’s special education program and attends his IEP team meetings. Ms. Castillo was a credible witness. 21 Emily Nusbaum, PhD, is a university professor specializing in special education inclusion with a distinguished list of academic accomplishments. Julie Maier has a master’s degree in special education, and is a credentialed special education teacher and university instructor for special education student teachers. Ms. Maier assessed Student’s ability to be included in general education and opined that he could be fully included. 56. The evidence established that Student’s aide for the 2012-2013 school year, Zachary Scott, was trained as a District instructional aide. 16 Judy Heidebrecht, Student’s SDC teacher for the 2012-2013 school year, screened, trained, and supervised Mr. Scott in the performance of his duties as Student’s aide for his general education periods. 17 Ms. Heidebrecht also trains and supervises the instructional aides assigned to her SDC (she currently has four). Student’s general education teachers, Jane Golling (drama), Paul Babcock (physical education), and Robert Louder (art), supervise the instructional aides in their classes, including Mr. Scott, and established that Mr. Scott adequately performed his duties when Student was in their respective classrooms. 57. Student requires aide support to help him communicate with his teachers and other students in classroom and social settings. Student also requires aides to help him understand his teachers’ directions, and help navigate his way to the bathroom and around campus. Student’s aides prompt (encourage) Student to ask questions if he doesn’t understand or if he needs something, to repeat himself if others cannot understand him, to redirect or focus his attention on assigned tasks, and to interact with his general education peers. Student’s aides address his needs relating to “chunking” (breaking information into smaller segments so Student can understand. Student’s aides are taught when to prompt Student, consistent with scaffolding, using verbal or visual cues such as diagrams. 19 Credible testimony from Mr. Scott, Mr. Kubo, Ms. Heidebrecht, Ms. Golling, and Mr. Louder, and Mr. Babcock established that Student’s aides in general and special education periods provided the level of services that Student required for accessing his education. Therefore, District’s instructional aides met Student’s unique needs. 58. Student contends District failed to implement a modified curriculum designed to meet his unique needs. District argues that it adequately modified Student’s general education program, but that because of Student’s low functioning level the seventh grade core academic subjects cannot be modified to the extent he needs in order to participate. 60. The disputed IEP offers Student several accommodations to address his deficits, in addition to instructional aide support and steps to improve his communication intelligibility previously discussed. The IEP offers classwork accommodations that include multi-cueing (auditory instruction paired with visual models); visual schedule or day planner for organization; study guides for key concepts or written templates for written language activities; adult and peer modeling; chunking multi-step activities; modifying grade-level work; extra time for tasks; checking for understanding; prompts for capitalization and situation; and manipulatives for math. The IEP also offers testing that includes extra time; quiet instruction free workplace; and non-reading tests. In addition to accommodations in class, District also offered to modify grade-level work. In other words, District offered a modified curriculum. 61. The manner in which the District implemented the modification of Student’s curriculum sheds light on the nature of the IEP offer, although the offer may not be judged in hindsight. Student’s two general education electives are drama and art class. The teachers for both classes modified (changed) the curriculum so that Student could participate with general education students to help his social and communication development. In drama, Student received “A” grades that were not graded the same as general education students so that he would feel successful. For a five-paragraph essay assignment, Student would answer 10 questions instead. The class’s Greek drama and Japanese puppet exercises were changed so Student could participate. In art class, the concepts were too abstract for Student to participate without modification. For example, the class’s contour shading lesson was modified so Student was limited to doing only colors. Student participates in physical education and lunch assisted by his dedicated instructional aide to facilitate his social interaction and communication skills and does not require a modified curriculum for these periods. 62. The core seventh grade academic subjects are math, language, history, and science. Student was not offered or placed in these general education classes. Credible testimony from Ms. Heidebrecht, Ms. Carberry, Mr. Berglund, Ms. Golling, Mr. Lowder, and Ms. Castillo establish that these subjects could not be modified to the extent Student would need in order to participate in a general education setting given the level of his deficits. 20 For example, Student functions at a first grade level and would not understand the abstract concepts that seventh grade students learn in a pre-algebra, algebra, or geometry class. He would essentially have to be given completely different work than his peers. The evidence establishes that Student’s curriculum in these core subjects would have to be so heavily modified that Student would be isolated from the rest of the class and consequently would not be meaningful inclusion in general education. In his SDC, Ms. Heidebrecht modified Student’s curriculum for reading, writing, and math so Student could participate in order to work on his goals. 63. Parents, Dr. Emily Nusbaum and Julie Maier opined that Student could take core seventh grade academic subjects. 21 Both experts gave credible testimony about their expertise in inclusion strategies, but given their limited or no interaction with Student and a lack of specifics indicating how the core curriculum could be modified for Student, their testimony was afforded less weight. The accommodations and modifications offered by District are consistent with Student’s unique needs as identified in the assessments and teacher observations in order for Student to receive meaningful educational benefit. District’s offer of a modified curriculum is therefore appropriate. In addition, the evidence fails to show that District did not modify these classes to the level Student would need to have meaningful educational benefit. 64. Student contends that he should be in seventh grade general education academics classes. Parent and Ms. Bustos-Ponce contend that Student functions at a higher level than what the District IEP team members believe. Student alleges the SDC is inappropriate because it has limited academic instruction, is not age-appropriate, and does not offer sufficient access to the general education curriculum. District claims that because of Student’s limited cognitive ability, he would not be successful in seventh grade general education classes and the classes cannot be modified to the level where he can meaningfully participate. While these areas of contention are also relevant to the LRE analysis below, they are evaluated separately here. 65. The District’s IEP offers Student instruction for the 2012-2013 school year beginning August 20, 2012. The IEP does not state an ending date, but is an annual IEP unless replaced by a subsequent IEP. The offered instruction at Alta Sierra Middle School includes three periods in the SDC for English language arts (two periods) and math (one period), two periods of general education electives, physical education, and lunch period. The IEP states that for the 2012-2013 school year, Student will spend 57 percent of his time in the general education, extracurricular activities, and nonacademic activities. Student will spend 43 percent of his time in the special education curriculum outside the general education extracurricular activities, and nonacademic activities. 66. Student’s SDC is taught by Ms. Heidebrecht. Ms. Heidebrecht is assisted by four instructional aides, sometime five. There are currently eight students in the class, including Student, with a variety of disabilities in ages ranging from 11 through 14 years old, in the seventh and eighth grades. Ms. Heidebrecht uses a variety of programs in the curriculum, including PCI reading (reading program for disabled students), SRA reading, touch math, and daily living skills. SDC students have access to use a desktop computer and iPad for reading, speech and language therapy, vocabulary, and math. Student uses the iPad for math and reading. SDC students, including Student, work on their individual goals in the class. 67. Bustos-Ponce’s report, Dr. Wells’ independent psychological assessment, Ms. Maier’s inclusion report, and teacher and staff input in order to determine his placement for the 2012-2013 school year. Student points to his higher functioning outside of the classroom as seen by his parents and tutors and evidenced by his school work consisting of simplistic repetition on subjects he does not need or already knows. Student also points out that the SDC classroom contains pictures and drawing of animals that indicate a classroom environment suitable to much younger students. Parents claim that Student is bored and does not want to attend school. However, their belief was not supported by the evidence and Student’s teachers were more persuasive because they worked with him every day in the school environment and did not see Student’s functioning level in the educational setting at the same level as his Parents, tutors, or consultants. The IEP team appropriately considered the information that was presented to them at the time of the IEP team meetings and reasonably concluded, based on the information that it had, that Student would not be successful in seventh grade general education academic classes and the classes could not be modified to the level where he can meaningfully participate, and that he would obtain educational benefit by spending 57 percent of his school day in a general education environment to address his social and communication deficits and 43 percent in a SDC to work on his academic subjects in English language and math. 68. Mr. Petersen established that although Student attended his sixth grade general education class in the previous school year for social studies and science, Student’s was unable to keep up with his peers and could participate only with extensive modifications to the lesson that effectively changed the curriculum. That Student was able to access his education in a general education setting when he was younger is not at issue. The offer for the 2012-2013 school year is analyzed based upon the information available to the school district at the time of the offer and not in hindsight. Reputed experts can disagree, as they did in this case, However, what is fundamental to this case is whether District offered Student an appropriate placement with information it had at the time of its offer. The preponderance of the evidence does not show that District failed to offer Student an appropriate placement. 69. Persuasive evidence established that Student needs more than one period in a SDC to work on his 17 IEP goals (eight goals in reading and spelling, five goals for math and numbers, four goals for social and communication). District’s placement offer is also consistent with Ms. Maier’s conclusion in her February 2012 inclusion report that the gap between Student’s academic ability with his typical peers is significant and will increase in future years. District’s placement is actually consistent with Dr. Well’s conclusion that Student can be extensively mainstreamed. Ms. Heidebrecht established that her SDC classroom environment is appropriate for middle school students. The 2012-2013 IEP addressed Student’s transition from elementary school, where students attend a single class, to a middle school curriculum, where students change classes with each period similar to high school, which is a significant change in the educational environment. District’s SDC placement met Student’s academic needs and its general education classes met Student’s social and communication needs. 70. Student contends that his SDC placement is not the LRE since he should be in general education seventh grade academic classes. District contends that Student would be unsuccessful in general education seventh grade academic classes and that his placement of 43 percent in the SDC for his academics and 57 percent in general education for social and communication development is the LRE for Student. 22 Mary Bass, special education administrator, established that cost was not a factor in District’s placement offer. Therefore, there is no further discussion about cost. 71. A special education student must be educated with non-disabled peers to the maximum extent appropriate, and may be removed from the general education environment only when the nature or severity of the student’s disabilities is such that education in general education classes, with the use of supplementary aids and services, cannot be achieved satisfactorily. The environment is least restrictive when it maximizes a student’s opportunity to mix with typical peers while still obtaining educational benefit. Whether a student is placed in the LRE requires the consideration of four factors: (1) the educational benefits of placement full-time in a less restrictive setting; (2) the non-academic benefits of such placement; (3) the effect the student would have on the teacher and children in the less restrictive class, and (4) the costs of the less restrictive setting. 22 If a child cannot be educated in a general education environment, then the child must be mainstreamed to the maximum extent that is appropriate. 72. The evidence shows that Student would not make adequate educational progress in a full-time general education setting and cannot be educated in core academic subjects in a general education environment. The question therefore is whether District offered to mainstream him to the extent appropriate. The prior school year, when Student was in general education class for social science and science, he was unable to keep up with his peers without extensively modified lessons that effectively changed the curriculum. In developing the disputed IEP offer for seventh grade, District properly determined to have Student take two general education electives, plus physical education, and lunch period, as his general education classes to address his social interaction and communication deficits so he can make educational progress. In the SDC offered to Student, he would have the opportunity to work on the academic subjects and goals in his IEP. In addition, he would not have the time in a full general education setting to work on his IEP goals. 73. Credible testimony from Ms. Heidebrecht, Ms. Golling, Mr. Louder, Ms. Castillo, and Mr. Petersen established that Student does not belong in a full-time inclusion program in general education classes, but would derive social benefit from spending a portion of his school day in general education classes. Student requires the support of a SDC with its smaller, structured setting and focused attention to his unique needs and annual goals. His academic needs require significant repetition and modification from the standard curriculum. Student has significant cognitive delays in the intellectually disabled range and language deficits which makes him hard to understand. Student has difficulty grasping abstract concepts that typically functioning students in the same age range can. 74. District was persuasive that it would not be able to modify a general education seventh grade core curriculum to the level where Student could obtain educational benefit. Student cannot follow the pace of a general education seventh grade academic class as the pace is too fast and concepts too advanced. Seventh grade students are learning to think abstractly, making inferences, and understanding causes and effects. While the evidence showed Student made progress, by contrast, Student remains a concrete learner with limited comprehension and can only do simple tasks such as identifying coins, colors, and basic math calculations such as addition and subtraction. In addition, the gap between Student’s cognitive abilities and the abilities of his typical peers is significant and may become greater as time passes. 75. A full-time general education seventh grade academic program with a modified curriculum would change the material to such an extent that Student would no longer be a part of the classes. He would, in essence, be isolated from his classmates with an alternate curriculum so there would be no benefit having him in a full-time general education academic program with the modifications. Even with an aide, full-time general education academic inclusion would still have no benefit for Student if he required a separate class within the class. If in general education academic classes, Student and his aide would have to work separately from the rest of the class to access his education and this is not meaningful inclusion. In addition, Student requires specialized instruction, and an aide alone cannot control the learning environment to suit his needs, especially since a District’s general education classes have up to 35 students with one teacher. 76. The evidence showed that Student receives a social or nonacademic benefit from inclusion with general education students. During Student’s time in general education sixth grade class in elementary school and seventh grade general education drama, art, physical education, and lunch period, he has received a social benefit from inclusion with general education students. Student has seemed happy and the other students have accepted him and tried to include him in their activities or interact. Student is able to model general education student behavior and language used by typical peers. 77. The evidence shows that Student’s academic, social, and language deficits and behaviors would disrupt a full time general education academic setting and would deprive the other students of adequate education. Parents contend that Student shuts down because he is bored with the less challenging curriculum. However, the weight of the evidence, including observations from IEP team members and his teachers, establish that Student has a tendency to shut down, have a tantrum, or throw objects, when he is frustrated because he is unable to participate in a particular lesson or task because it is too difficult or he doesn’t understand the instructions. Student would also need a separate curriculum or sit at a separate table in the back of the room, the teacher would have to provide constant supervision and instruction separately from the rest of the class which would disrupt the flow and impede instruction for the rest of the class. On balance, the evidence shows that Student could not be satisfactorily educated in the general education environment to any significant degree more than the offered IEP proposed, and that he could be satisfactorily educated in the SDC, which is the least restrictive placement. Student continues to qualify for placement in a SDC due to his intellectual disability and communication deficits, along with opportunities to access a general education curriculum. 78. Student contends that the implemented IEP denies him a FAPE because District failed to work on his goals, failed to provide adequately trained or supervised aides, and failed to provide the speech and language therapy and a modified curriculum. District contends that the IEP provisions have been appropriately implemented. 79. Districts must adhere to the procedural requirements of IDEA. A student eligible for special education and related services is legally entitled to a FAPE that consists of special education and related services that are available to the child at no charge to the parent, meet the state educational standards, and materially conform to the child’s IEP. A material failure to implement an IEP occurs when the services provided to the student fall significantly short of those required by his or her IEP or materially deviate from them. 80. Credible testimony from Ms. Heidebrecht, Ms. Golling, Mr. Louder, Ms. Castillo, Mr. Kubo, Mr. Scott, and Mr. Babcock, establish that Student is working on the annual goals in his IEP while in his general and special education classes, including lunch period. During lunch, Student is prompted to sit and interact with general education students. Ms. Maier testified that Student was not working on his IEP goals in class, but her testimony was afforded less weight due to the limited time and interaction she had with Student and staff. Student continues to disagree with his IEP goals, but the weight of the evidence shows that District implemented his IEP goals and that Student is making progress. In addition, Ms. Tetz confirmed that Student is working on his communication goals and is getting the level of speech and language therapy specified in the IEP. There is no credible evidence to the contrary. 81. As previously discussed in Factual Findings 52 through 57, the aides assigned to Student were screened and adequately trained and supervised to perform their duties. As discussed in Factual Findings 58 through 63, Student’s teachers modified his curriculum when needed in order for him to participate. 82. Student contends that District’s offer of placement in general education is not 57 percent but is actually 42 percent since lunch period should not be counted as a general education period since Student eats with his SDC group. The evidence establishes that Student is reminded and encouraged to sit with general education students during lunch, but that Student chooses to sit with his SDC group for lunch, and then interacts with other general education students afterwards. 83. As found above, Parents consented to District’s general education placement for 57 percent of his IEP program. The program consists of general education class, extracurricular activities, and nonacademic activities. The evidence shows that Student’s lunch period is with general education students and his aide facilitates his interaction with general education students. Student’s program has seven periods in each school day; four are general education periods (art, drama, physical education, and lunch period), and three SDC periods. District establishes that he is receiving four general education periods in his program. Four periods out of seven periods constitutes 57 percent of the school day in general education. 84. There is insufficient evidence to show that District failed to implement this IEP. Student did not sustain his burden of proof on this claim. 1. The petitioning party has the burden of persuasion. (Schaffer v. Weast (2005) 546 U.S. 49, 56-62 [126 S.Ct. 528, 163 L.Ed.2d 387].) Therefore, Student has the burden of persuasion for the issues raised in this case. 7. Under the IDEA, states may develop standards that allow paraprofessionals to assist in the provision of special education and related services if they are “appropriately trained and supervised, in accordance with State law, regulation, or written policy …” (20 U.S.C. §1412(a)(14)(B)(iii).) In California, a paraprofessional may perform duties that, “in the judgment of the certificated personnel to whom the instructional aide is assigned, may be performed by a person not licensed as a classroom teacher.” (Ed. Code, § 45330, subd. (b).) A paraprofessional may work in any of the variety of positions described in Education Code section 44392, subdivision (e), including instructional aides. 8. Education Code section 56205(a)(13) requires each SELPA to establish personnel standards for education staff, including special education teachers and paraprofessionals, in conformance with the IDEA and state law, and Education Code section 56241(a) requires staff development programs to be provided for school staff and administrators, including paraprofessionals. Issue 1(a): Did the District’s proposed IEP for the 2012-2013 school year deny Student a FAPE in that it does not offer Student with annual goals reasonably calculated to meet his unique needs related to his disability? 11. In accordance with Factual Findings 7 through 46 and Legal Conclusions 1 through 6, and 10, the evidence establishes that the annual goals in the April 16, 2012, IEP are measurable, are consistent with the CAPA standards, and designed to address Student’s identified areas of need related to his disability. Therefore, the goals meet Student’s educational needs. Parents disagree with the goals because they feel Student is more capable than what the District’s IEP team determined. However, the weight of the evidence, including videos of Student, establishes that District thoughtfully developed Student’s annual goals with knowledge of his baseline levels of performance and functioning and the goals are reasonably related to his skill levels and areas of need. The evidence does not establish District offered inadequate goals to meet Student’s educational needs. Issue 1(b): Did District fail to offer appropriate supports and related services? 12. In accordance with Factual Findings 48 through 51 and Legal Conclusions 1 through 6, the evidence establishes Student’s communication deficits are his overall ability to be understood in social and educational settings. Student’s articulation is impacted by the physical structure of his oral cavity due to Down Syndrome. However, District persuasively established that Student does not have a significant problem in this area and does not need specific goals for articulation. Student’s communication problems should be addressed in natural settings that he can apply across the board in class and social settings. The IEP includes appropriate accommodations Student needs to help his intelligibility. The April 16, 2012 IEP offer provides Student with speech and language for 30 minutes per week of direct collaboration therapy and 30 minutes per week of consultation for total of 240 minute of speech and language therapy per month. This level of service is consistent with the evidence at hearing and the evidence establishes that Student benefitted from the speech and language therapy and made progress. Student did not sustain his burden to establish that District should have offered speech and language therapy in the area of articulation. Therefore, District’s speech and language therapy offer was not inappropriate and did not deny Student a FAPE. 13. In accordance with Factual Findings 52 through 57 and Legal Conclusions 7 through 9, the evidence established that District trained its instructional aides and credentialed teachers supervised them in their classes. The District offered Student instructional aide support in his IEP. District’s offer of aide services included an implied offer of a trained and supervised aide because District had an active program and policies for training and supervising its aides. District’s offer of aide services therefore did not deny student a FAPE. District’s aides assigned to Student met Student’s needs and there is insufficient evidence to establish the aides were not adequately trained or supervised. Issue 1(c): Did District fail to offer an appropriate educational placement? 14. Pursuant to Factual Findings 58 through 69 and Legal Conclusions 2 through 6 and 10, District appropriately considered and reasonably concluded with the information it had at the IEP team meetings that Student would obtain an educational benefit with 57 percent of his program in general education to help his social and communication and 43 percent in a SDC for academic subjects. Student could participate in general education academic classes only with extensive modifications to the lesson that would effectively change the curriculum. In addition, Student needs more than one SDC period to work on his goals. District’s placement offer is consistent with the increasing gap between Student’s ability and that of his non-disabled peers. District’s SDC classroom environment is appropriate for middle school students and the offered IEP addresses Student’s transition from elementary to middle school, where students change classes with each period similar to high school, which is a significant change in his educational environment. District’s SDC placement met Student’s academic needs and his ability to access general education. 16. Pursuant to Factual Findings 62, 63, and 70 through 77, and Legal Conclusions 2 through 6, 10, and 15, District appropriately determined that Student would not make adequate educational progress in a full-time general education setting. Student is unable to keep up with his general education peers in seventh grade academics subject and does not belong in a full-time inclusion general education class because his cognitive deficits would require an extensively modified program that would isolate him from his peers. He would not be meaningfully included, even with the assistance of an aide. 17. According to Factual Findings 73 and 76, and Legal Conclusions 15 through 16, the evidence was clear, nevertheless, that Student does and would continue to derive social benefit from spending a portion of his school day in general education classes. Student has seemed happy and the other students have accepted him and tried to include him in their activities or interact. Student is able to model general education student behavior and language used by typical peers. Student could not be satisfactorily educated in the general education environment any more than the offered IEP proposed, and the SDC is the least restrictive placement. Issue 2: Did District’s IEP implemented for the 2012-2013 school year deny Student a FAPE? 20. According to Factual Findings 78 through 80 and Legal Conclusions 18 through 19, the evidence establish that Student is working on the annual goals in his IEP while in his general and special education classes. The weight of the evidence fails to show that District did not implement Student’s IEP relating to his goals such that it denied Student a FAPE. 21. According to Factual Findings 78 through 80 and Legal Conclusions 12, 18, 19, and 21, Student is working on his communication goals and is getting the level of speech and language therapy specified in the IEP. Student is making progress on his communication goals. The weight of the evidence fails to show that District did not implement his IEP relating to speech and language therapy such that it denied Student a FAPE. 22. According to Factual Findings 22, 23, 52 through 57, and 81, and Legal Conclusions 13, 18, and 19, the aides assigned to Student in general and special education classes were adequately trained to perform their duties. Student’s special and general education teacher appropriately supervised the aides to help deliver instruction so Student could access his education. The aides met Student’s needs. The weight of the evidence fails to show that District did not implement his IEP relating to his instructional aides such that it denied Student a FAPE. 23. As determined in Factual Findings 58 through 63 and 81, and Legal Conclusions 18 and 19, Student’s teachers modified his general education electives and SDC curriculum when needed in order for him to participate, but that core seventh grade academic subjects (math, language, history, and science) could not be modified to the extent Student would need in order to participate with meaningful educational benefit. Therefore, Student did not establish that District’s modified curriculum for limited subjects denied Student a FAPE. 24. According to Factual Findings 6, 65, 82, and 83, and Legal Conclusions 18 and 19, Student’s educational program has seven periods, four are general education periods (art, drama, physical education, and lunch period), and three are SDC periods. Student is receiving four general education periods in his program. Four periods out of seven periods is 57 percent in general education. Therefore, there is insufficient evidence to show that District failed to ensure that Student attends 57 percent of his program in general education and Student was not denied a FAPE. 25. Overall, Parents did not like the educational program offered by District and continue to disagree with it. Parents may continue to feel District’s program is not the best for Student. Regardless, District is not legally required to provide the best program. District’s proposed educational placement may not be the best program for Student, but that is not the issue. What is fundamental to this case is whether District’s IEP of April 16, 2012 failed to meet the minimum legal requirements of offering Student a FAPE. Based on the foregoing, Student did not establish that District’s April 2012 IEP offer of educational placement and related services in the contested areas denied him a FAPE. Education Code section 56507, subdivision (d), requires that the hearing decision indicate the extent to which each party has prevailed on each issue heard and decided. District prevailed on all issues.